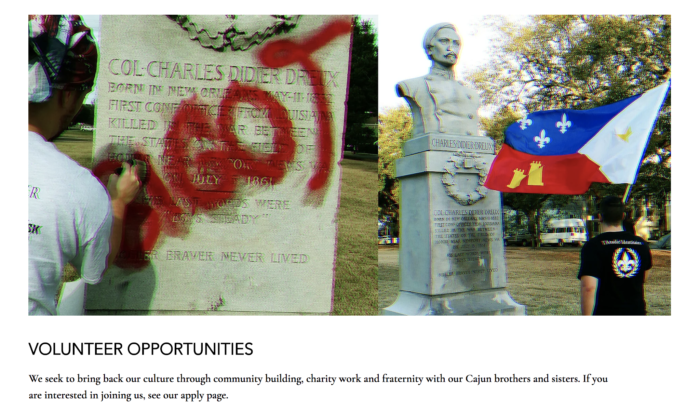 Founded in 1989 to clean up the Jefferson Davis statue, the MTC has done some important work over the last twenty years. 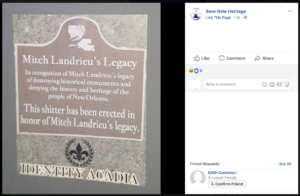 Unfortunately, driven by their leader Pierre McGraw, the MTC has failed to engage with the context of New Orleans’ public history, instead retreating to the defensive and antagonistic nostalgia of the Lost Cause. Even worse, the MTC’s vocal love of the Confederacy has also attracted white nationalist groups, which have used the MTC to promote bigotry. Though it tries to portray itself as a serious non-profit, occasionally the facade crumbles. After the Lee statue came down, the MTC social media accounts went on a rampage, picking fights with anyone celebrating the removal and vowing revenge against local media. (They especially singled out Times-Picayune columnist Jarvis DeBerry for criticism but – ironically or appropriately – tagged a different, random black man named Jarvis on Twitter.) 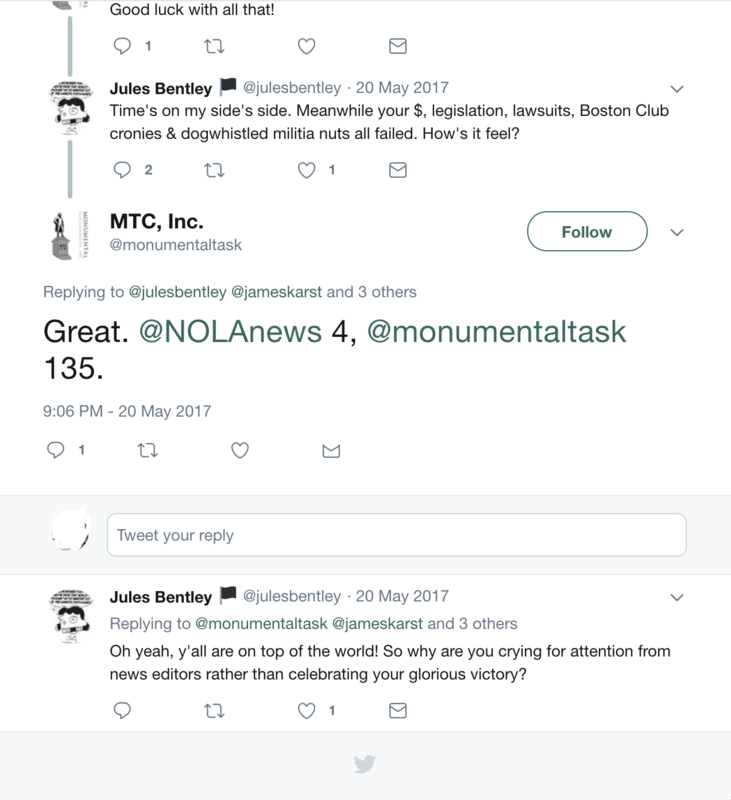 The MTC bizarrely blamed the Times-Picayune for the monument’s removal, alternated wallowing in pity, taunting New Orleanians, and gloating that 135 Confederate monuments still stand. It is not surprising that the devotees of the Lost Cause handle losing poorly. Call it the Lost Cause of the Lost Cause. 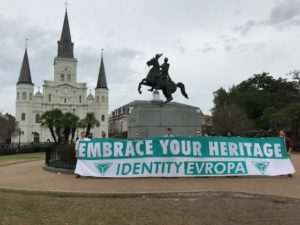 If you think of New Orleans, you’ve all heard it called the Great Melting Pot…and that’s only because there’s great diversity in this city and if you start removing icons that represent different heritage in the city, you’re going to be less diverse and you’re going to be less New Orleans. What heritage do these ‘icons’ represent, Pierre? Maybe it represents the people who would try to argue that removing a monument to white supremacy is an attack on diversity. 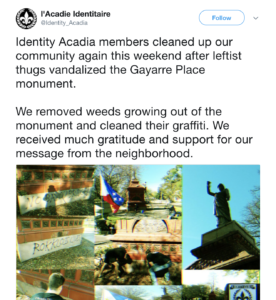 Seeing opportunity with the monument debate to expand their influence and gain new members, Identity Acadia has tried to ingratiate themselves with more respectable groups. 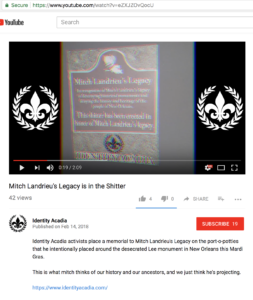 MTC, Forever Lee Circle, and Save Nola Heritage have all promoted Identity Acadia’s work. Here’s IA cleaning up Gayarre Place in their group’s t-shirts and putting up IA stickers and then MTC praising them. 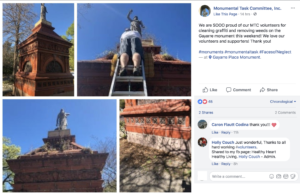 Here’s Identity Acadia members and MTC volunteers cleaning up the Dreux monument. This ‘volunteer opportunities’ image is not from the MTC’s website but is a recruitment to IA’s white nationalist group. Do we think that all MTC members believe what IA believes? No, of course not. But, at best, the MTC and other Lost Causers are being used by hate groups to attract new members and to normalize their organizations. 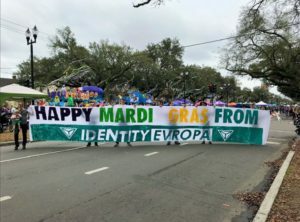 Here’s another example: Identity Acadia staged several actions around Mardi Gras 2018. 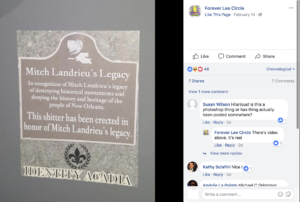 One of them – putting stickers on toilets at Lee Circle calling them “Landrieu’s Legacy” – was broadcast to thousands by Forever Lee Circle and Save Nola Heritage.